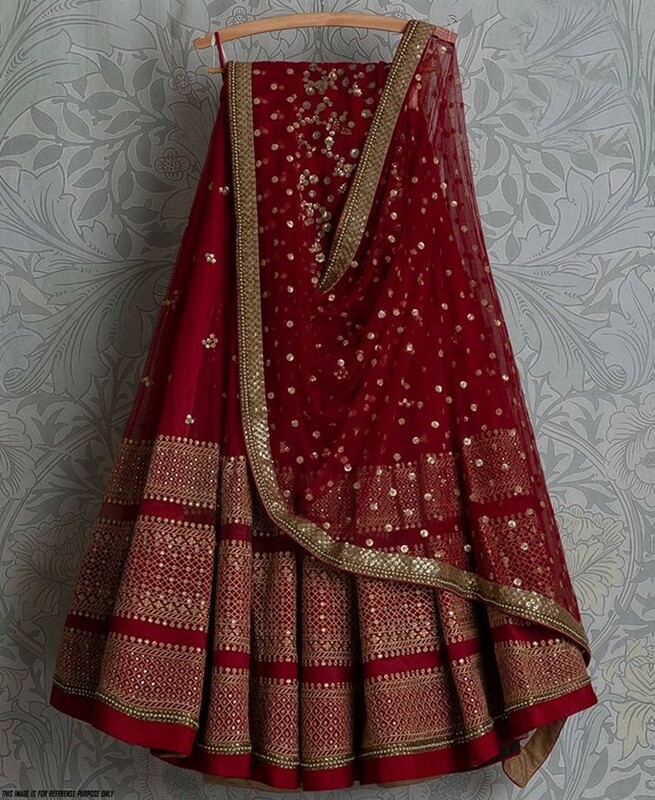 look elegant with wear this Ineffable maroon lehenga choli, which have georgette fabric lehenga, banglori silk blouse with net dupatta with heavy multi work. lehenga featured with resham embroidery and sequence work. Cancan Available.